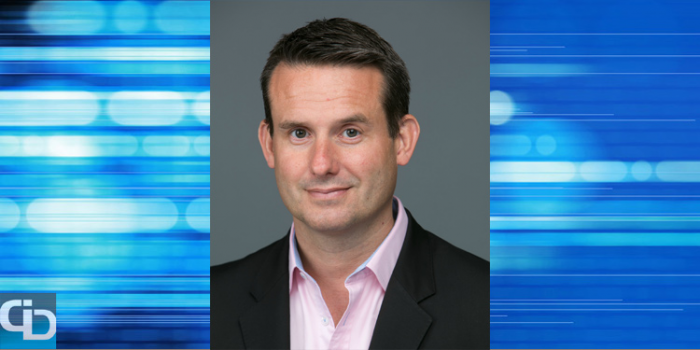 Nick Hedges is President and Chief Executive Officer of Velocify, an El Segundo, Calif.-based sales acceleration technology company providing cloud-based intelligent software and helping 1,500+ sales teams find and convert more leads. He's also a 15-year veteran of the Internet and software as a service (SaaS) industry. icrunchdata speaks with business leaders about their careers in technology, what they are focusing on in their current roles and what their interests are outside of data. In our conversation with Nick, he shares the importance of a customer-first initiative, Net Promoter Score and combining prescriptive and predictive analytics. You've been with Velocify for eight years, after joining in 2008. What brought you here, and which roles have you held? When I first joined, it was as SVP of business development, which ultimately lead to me becoming head of sales and chief revenue officer, and then the CEO in 2011. I joined the company thanks to a business school friend of mine who had just invested in the company. At the time I was trying to figure out how to transition back into a technology entrepreneurship role having had that as my focus prior to coming to the U.S. for business school. I had met with several interesting companies at various stages, but Velocify stood out as one that had the potential to be hugely, positively impactful not just to one business vertical but an entire profession – i.e. sales. How did the brand name Velocify come about? Most people do not know this, but Velocify use to be called Leads360. We rebranded a few years ago to reflect the evolution of our company and the customers we serve. What we realized was that most companies who count on leads for customer acquisition face some pretty significant challenges that we solved. At the core of their problem was a loss of control over the sales process. As these sales teams tried to accelerate and scale their sales, they failed miserably. They were putting forth more effort, but weren’t focused on the right opportunities – right lead, right rep, right time. In addition, it was nearly impossible to ensure all sales reps were following an optimal and consistent response and follow-up strategy. The name Velocify – a play-off of the word “velocity” – meaning the speed of something in a given direction – represented our vision perfectly. Our vision is to transform the sales process by putting it on rails, allowing sales teams to accelerate but with more control. With Velocify, sales team’s prospect with more precision, focus their time on the highest value opportunities, follow a consistent and optimal response strategy, and ultimately spend more time finding and converting leads into revenue. Which of your skills do you find most relevant for success as CEO? I have found that listening is the most relevant skill for me, and for salespeople. In fact, I often say that you need to listen so carefully to your customers, prospects, employees and investors that you hear the things they aren’t saying. This allows you to get to the questions that neither of you know the answer to, and brings you into a brainstorming, consultative or coaching mode. This is a far more valuable place to be as you are working to build a long-term relationship based on trust and mutual respect. What’s the most impactful initiative you’re working on today? Hands down – our customer-first initiative. If I were to give anyone in business one tip, it would be look after your customers. With the rise of the Internet, and introduction of social media, where a good or bad customer experience can go viral overnight, every experience with your business matters. Sales organizations that lead with a service mentality and see every interaction as a part of an ongoing relationship with their customers, will be rewarded with loyal customers, industry credibility, respect and referral business. As a metrics-driven CEO, I pay close attention to our Net Promoter Score (NPS) at Velocify. NPS asks the customer one simple, yet powerful question: "How likely are you to recommend ABC company to a friend or colleague?" Based on how customers respond, they are assigned a status as promoter, passive or detractor. According to the system, promoters evangelize, passives remain neutral and detractors actively disparage the business. We take NPS very seriously, and I personally am obsessed with improving every area of our organization to deliver a better overall customer experience. Is there anything you wish more salespeople understood about your products and services? If I could underscore one aspect of Velocify, it would be that true productivity and efficiency comes from both speed and control, not one or the other. At Velocify, we are determined to empower salespeople to follow the best possible process when interacting with leads, allowing them to sell faster and with more efficiency. I always find myself saying, you can’t have speed without control. What intrigues you most about where data science, analytics and big data are heading? The future of data science and analytics is a blended approach that includes both prescriptive and predictive analytics. The combination of the two make data more actionable. Let’s take Waze as an example, a popular crowd-sourced app for outsmarting traffic. Consider for a moment that you are looking for the fastest route home. You put your destination into your phone, and Waze gives you the recommended route. This is one piece of the picture, but there might be other things important to you on your journey home that Waze doesn’t know. Maybe you need to make a stop at the grocery store for milk, or maybe you prefer taking a scenic route for the enjoyment. There is some level of human control needed to ultimately drive the best result for you. Turning this back to sales, a simple predictive score is very useful for providing me with a better idea of which customers in my pipeline are more likely to buy from me based on historic data, but just like with Waze, this is only one piece of the puzzle. There may be other factors worth considering – where the prospect is at in the sales cycle, how responsive they are to my communication, etc. Combining prescriptive and predictive analytics ensures all the factors are considered and the optimal steps are taken to increase conversion rates. A comprehensive prescriptive tool truly makes the predictive score more actionable. Describe the future of the data marketplace in one word. Do you see any downsides to our digital, data-driven world? As I stated earlier, many companies are choosing to solely focus on technology to make decisions, but there will always be a need for a level of human control in decision making and analytics. You graduated with an MBA from Harvard Business School. What do you remember most about your time there? On the second day of school, I met my wife. That will always be the most memorable aspect of my time at Harvard and the one that inspired me to stay in the U.S. When I am not working I love reading, but most importantly, I love spending time with my family. Let's say tomorrow someone asked you to start a business unrelated to data and tech, what would you create? If I started a new business that had nothing to do with data or technology, I would start a scuba diving company in a tropical location. That being said, I would likely find a way to incorporate technology and data into the business, if it helped run the company more efficiently. Efficiency, of course! That's all we have for now; thank you for spending time with us, Nick.